For many seniors reducing their personal belongings is a very daunting and emotional task. Understandably, many will put off the task until they are forced to do it because of the death of a spouse or for health reasons. Getting rid of possessions before you move allows seniors to remain flexible if their circumstances change and reduces the chance that a senior remains at home in risk because they do not what to deal with the stress. 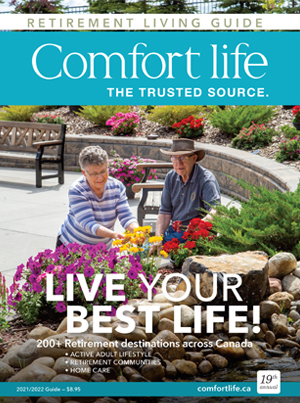 "It just gives a senior more options and a faster reaction time if something were to happen," says Pat Irwin, the president of ElderCareCanada. One of the best decluttering tips is to start with the parts of your house that you use least: spare bedroom, garage, closet, under the bed and even the basement. It is best to start with the easiest things to part with. Additionally, Elaine Frost, the founder of Trusted Transitions, suggests that seniors "start with the things that already have a home lined up." And for the children and grandchildren receiving those items, they must keep in mind that there is emotional attachment to the objects and important memories. "These things have been comforting them for many years," explains Marsha Fingold of Marsha's Helping Hands. "Although it is stuff, it is never just stuff. Everything has a story. Everything has an emotional attachment." To help ease the emotional stress of the situation, it is best to find a new home for every item rather than throwing items out in the trash. Giving items away to family is probably the first place to start, but it is best to be transparent about who receives what among family members. It is also best to have items appraised for their value, even if they are given away, in order to keep the gifts even among the family. "Family dynamics are so powerful when money comes into the picture and big decisions are made. Old sibling roles can resurface," cautions Irwin. Items that you might deem desirable for people outside the family to purchase is another good move. You can make money on these possessions by holding a downsizing sale. More importantly for seniors, their items are finding new homes that will cherish the items as much they did. "There are lots of people out there that would love to have a beautiful set of china. Sell the dishes to someone who wants it and give the money instead to your kids so they can do something with it that will create a great memory," advises Frost. For those items that are unsellable, getting seniors excited about helping out others and donating their stuff will go a long way. Fingold recommends that items be donated to charities and organizations that provide tax receipts for their donated items. "Try and get them a reward and don't just throw things out," she says. "They will be happy to help out less fortunate people." Overall, downsizing experts such as Irwin, Frost and Fingold recommend not using garage sales, garbage bags and dumpsters to remove senior's items from their homes. 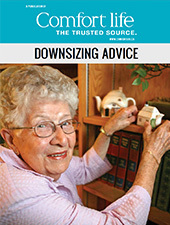 And for those families that may not have the time to help their parents downsize their home, downsizing experts can help speed up the process and provided the needed sensitivities to successfully reduce belongings. Gordon's Estate Services to help you move on. Finally, children can help a lot with the process of their parents' downsizing. Helping with the physical labour and ensuring that their parents' legacy is living on is vital. In the end, children may just have to accept some items they many not necessarily want. But working in a collaborative and sensitive way will make the process easier and allow seniors to be nimble in case an emergency arrives.